For the last month and a half Gaelco has been very busy with the launch of Football Power into Europe. With Euro 2000, the machines could not get out the door fast enough. 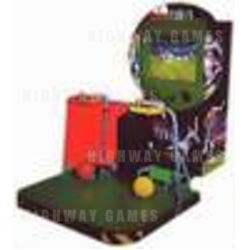 Becoming one of the favourite video games in the European arcades very quickly, Football Power will be available in USA , Australia and Asia shortly.